Rem Koolhaas the inspirational “spiritual father”…. Like in all good families there are mutual influences…. 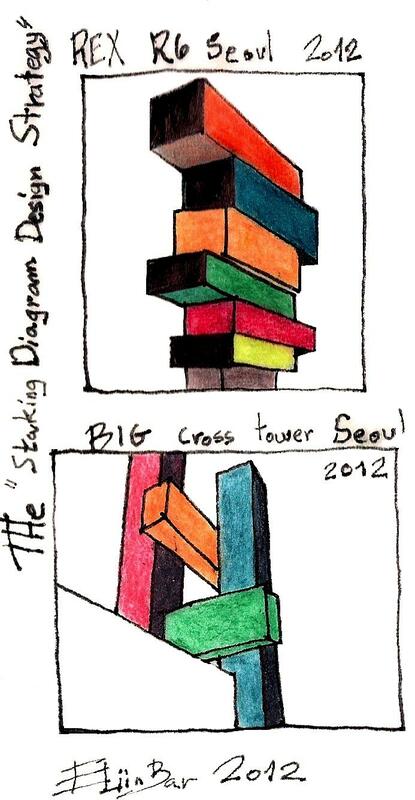 Eliinbar’s Sketches 2012 – BIG’s & REX’s “Stacking Diagram design Strategy”…. What do I mean by doing it “consciously”? The “Conscious Inspiration Method” is about bringing something of your self. 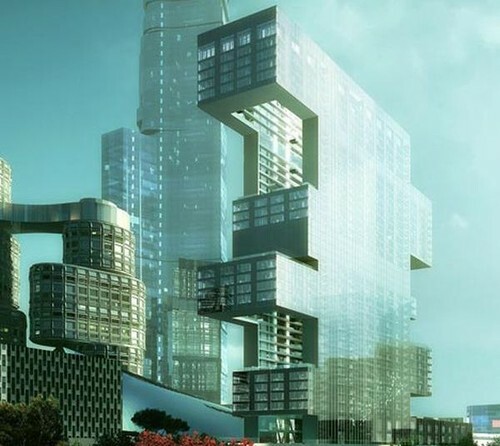 REX for example, morphologically gets inspired from the“Stacking Diagram design Strategy” but they add their own Interpretation….They design large inner courtyard garden that apartments will overlook it from within the tower’s upper storeys. You are invited to visit my relevant post, Rem-Koolhaas-they-were-all-my-sons: BIG, MVRDV,REX,FREE-and learn more about the“Inspiration Sources” of BIG and REX and the “stacking Diagram design Strategy “. This is an Eliinbar’s sketch from the “stacking Diagram design Strategy “post….On the left, a project designed by the Dutch firm MVRDV for the “Berlin Voids competition”, on the right REX’s Museum Plaza ……. 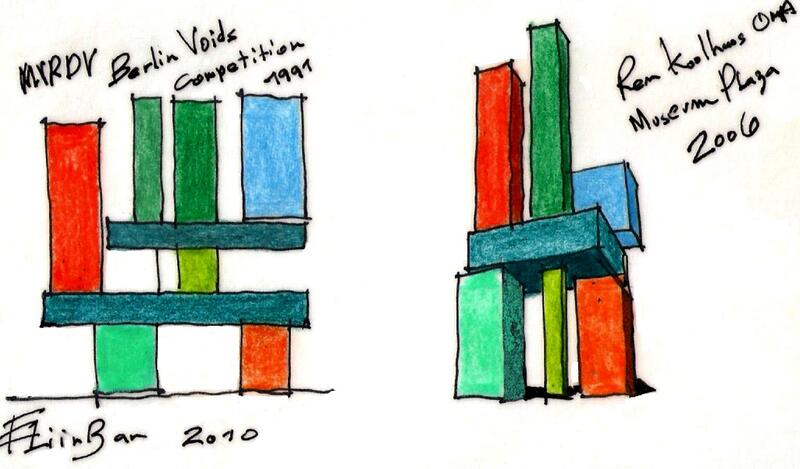 Are MVRDV’s “Berlin Voids competition” the inspiration origins of the “stacking Diagram design Strategy”? You are invited to visit my previous posts and learn more about ”Codex rules” of leading architects like Frank Gehry, Zaha Hadid, Rem Koolhaas, Morphosis and others…. 1. Zaha Hadid & Frank Lloyd Wright ….Do aspirations for reality begins in our drawings? 7. 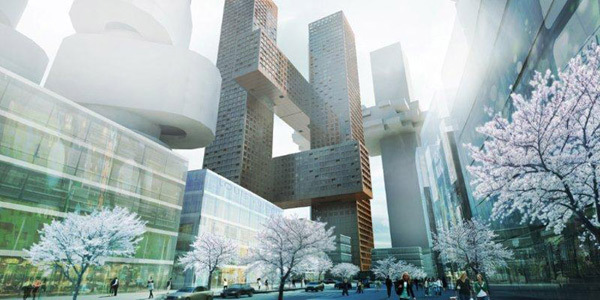 Bjarke Ingels Group – BIG….how they do it? Once we develop our “TOOLS”=”Codex rules”, it will lead us to high quality and creative architecture. What do say about gathering all the leading architects “Codex rules” ,in a “very small book”?